Maximum size: 33 mm shell length. 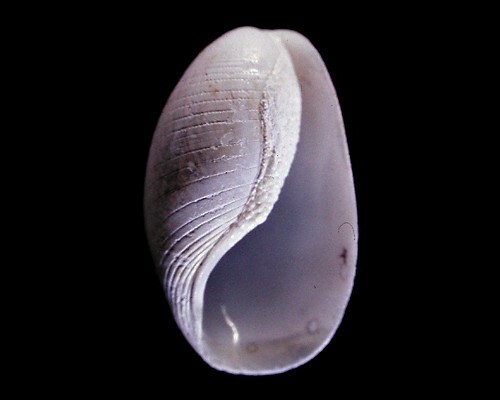 Identification: The shell of this species has an aperture that expands basally, widely spaced punctate striae and a thickened nodular callus on its inner lip. Natural history: Scaphander pustulosus is known only from shells dredged from depths of 80-590 m (262-1936 ft) (Kay, 1979). Taxonomic notes: It was first reported from Hawaii in Dall, 1895. Photo: CP: 9 mm: Bishop Museum lot # 221123; Oahu.